You can take the boy out of the farm, but you can’t take the farm out of the boy. This is a saying that can best describe the Member of Parliament for Asau and Minister of Agriculture and Fisheries, Lopao’o Natanielu Mu’a. Motivated by his vision of bringing Asau back to life and boosting the economy of Savaii, the farmer and former businessman entered politics almost three years ago as the M.P. for Asau and in just a few short years was appointed as the Minister of Agriculture and Fisheries. Growing up in Asau, Lopao’o knows the endless possibilities that exist underneath the once prosperous district, which after the economic boom of the 1970's, was left virtually a ghost town by the late 1980's. After successfully pushing and making a case for the redevelopment of the Asau harbour after more than a decade of unsuccessful attempts by his predecessors, Lopao’o is about to embark on another ambitious project to revitalise the Asau district with an eye on empowering all farmers on the big island. Over the past three weeks, the Minister has been facilitating and co-ordinating an initiative by the Matai and the young people of his district to create a large station that will serve as a nursery for any type of cash crop seedling. 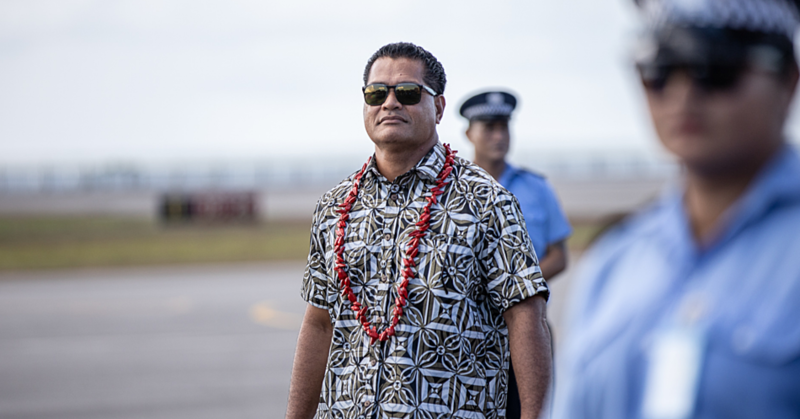 According to the Minister, the men from Asau, Auala and Vaisala, cleared up to 22 acres of the area known as Mauga Sola, which is government land three kilometres inland from Asau. The project has more ambition than it does funds and Lopao’o is humbled that the Matai of the villages have pledged to do more work even though it is unpaid. On a site tour of the Mauga Sola, the proposed site for the mega nursery, the Minister tells the Samoa Observer that this section are government lands that have been forgotten after they initially used it to experiment with the planting of many different varieties (some of them imported) of cocoa, avocados, mangoes, soursop, macadamia, oranges, mandarins and starfruit. Left undisturbed for more than 30 years, Mauga Sola was overgrown with invasive species of trees and bush until two weeks ago when the village men from his district cleared the flat land area to reveal what the Ministry all those years ago envisioned but never got to see – an earthly garden of Eden flowering and fruiting in abundance. “This is owned by the Government and our ministry just forgot about it,” said Lopao’o. “I knew why the government started this, for good intentions and for good reasons but then we dropped the ball. Maybe it was because of lack of money and probably no vehicle but I’m reviving this area." 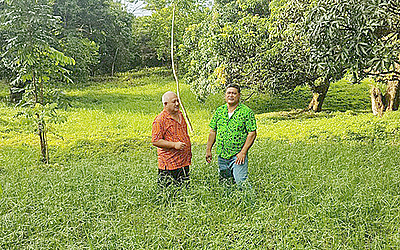 While there is more manpower than capital, the Minister hopes to attract development aid to his nursery project as part of his vision to revitalise the Asau district and create another business hub on the western side of Savaii. 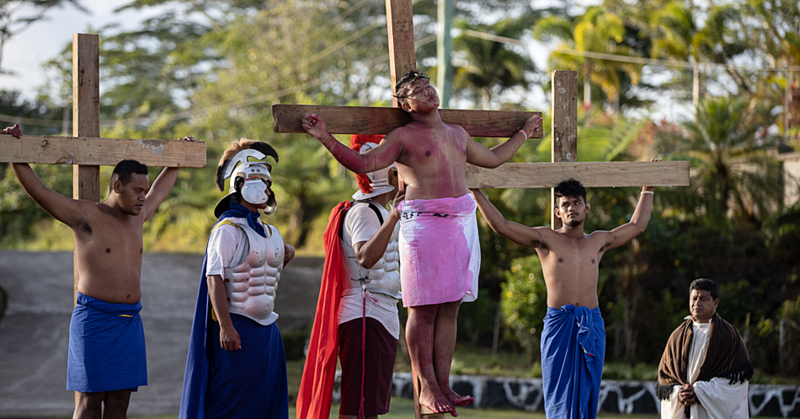 “To start it would need around 500,000 tala and I’m appealing to any donor who can help because it’s not just helping these three villages – it will help this whole part of Savaii from itu-i-tane all the way up to Sala’e. 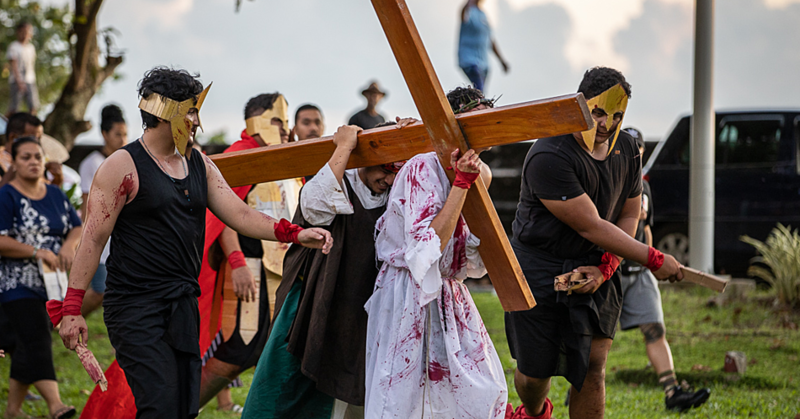 If we get more funding than that, then the whole of Savaii can depend on it." “I’d like to think that anyone in Savai’i can just come here and pick what plant they want and go plant it in their plantations. Will there be a cost? If I get funding for the seedlings and the Government pays for the wages of the workers then they can just come and take them." The most critical aspect of launching an ambitious project has been the buy-in and initiative of the Village Council and the young men of the district who have been ready and willing to create something for the long term gain and it is something that Lopao’o does not take for granted. “You hardly hear of people doing free work for the Government and the Government probably should do this work and they probably should pay – but my district, my constituency they said ‘we want to help the government to help us’ and I am so very thankful to them, people might say – why are doing work for government for free?" According to the Minister, the villages in his district have pledged to do some more work in clearing more lands and his Ministry will provide the chainsaws and a slasher to assist the men. Judging by the passion in his voice and the spark in his eye as he looks out over the Mauga Sola as if the mega nursery is already there, Lopao’o is determined to achieve his vision for his district and for Savai’i.